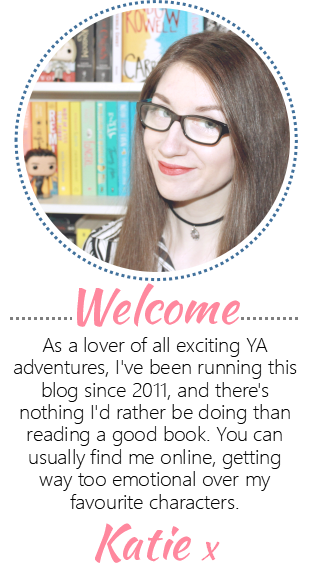 The Queen of Teen Fiction: GUEST POST: Sarah Mussi Shares Her Tips For Writing About Local Legends! GUEST POST: Sarah Mussi Shares Her Tips For Writing About Local Legends! 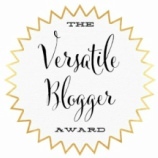 Today I'm excited to share with you this awesome guest post from author Sarah Mussi - enjoy! Myth and local legend are a positive gold mine for creative writing - packed with mystery, magic, romance and danger, what better ingredients for a true teen novel! Better still, every area in the world has its share of local spooky tales and mythical monsters! 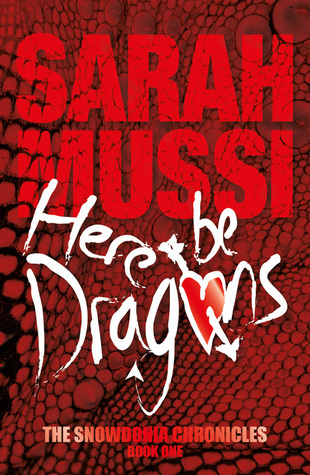 Sarah Mussi, multi-award winning author of HERE BE DRAGONS – BOOK ONE IN THE SNOWDONIA CHRONICLES, and a wealth of other topical teen and Y.A. titles, gives her top ten tips to help aspiring young writers use their local legends to create terrifying tales. 1) Create your protagonists: give them heroic qualities. Who is going to be the hero of your story? And what qualities will they have? Nobody loves a hero who cries and whines a lot, so your protagonist needs to be strong and just the kind of person you would like to be, when you are in a good mood! Take time to think about those qualities, and be very strict about not allowing reality to get in the way of a good story! 2) Your protagonist needs a truly awe-inspiring goal to work towards. All strong narratives are driven by the need of the central character to achieve a goal. The journey that this person makes may be filled with conflict, tension and obstacles, but as long as they have a strong goal, that they are determined to reach, your protagonist will find the necessary strength to overcome the obstacles and find solutions to all the problems life throws at them. 3) Now you need to do local research. Every square mile of the UK is filled with tales of the unexpected - local legends of wizards and witches; terrifying accounts of big cats on the loose; myths about hills and valleys, wells, stones and rivers. Your local museum, or ordinance survey map, or tourist souvenir shop, will often have details of these types of stories. Take time to do your research. Talk to residents whose families have grown up in the area. And of course there is always the Internet! Failing all of that, go for a long walk through your nearby countryside, and start imagining the kinds of stories the features of the local landscape might suggest to you. 4) Now serve up your local legends with a twist. Imagine that your protagonist meets one of the characters from the legends you have learnt about. Perhaps on the way home from school, they face a horrifying encounter with the Beast of Bodmin Moor! (Or whichever truly terrifying monster is rumoured to live in your area.) If you live on the shores of Loch Ness, you have a ready-made monster to work with! Start to believe the myths and legends you have researched into, then imagine how they will impact the life of your protagonist. Will the character/monsters become obstacles, or solutions to your protagonist’s quest to achieve their heart’s desire? All conflict and tension in truly gripping stories is created by the machinations of a villain! If possible borrow one of the many villains that exist in mythology. This gives your villain a second and important layer of terrifying-ness. It makes them genuine and real! Also most villains in myth and legend have supernatural powers too. SHIVER! They also have an archetypal presence, which makes them truly scary. 6) Take time with your setting. The setting of your story may be one of the single most important features that you have direct control over. Setting can offer all kinds of conflicts and tensions. I chose to set to my teenage romantic, adventure, mythical-fantasy on Mount Snowdon. This meant there was lots of potential to get lost, be put in danger, freeze, or fall off huge cliffs! This all added to the tension and sense of jeopardy in the story. So where is your story set? Can you go there and take notes about what it is like? Notice details of the landscape. The kind of things you hear. Note down bird song, wind activity, sounds far away in the distance, maybe aeroplanes? What about traffic? Or maybe the sound of the sea? Think about what you can smell as well. Every place has a slightly different smell. Unfortunately in the English language, we have a very limited vocabulary for the sense of smell. Things either smell good or bad or putrid or sour or sweet. However, you can add to this by creating metaphors and similes to help the reader imagine what the place smells like. 7) Now begin your story in medias res. In the medias res is the term authors use for starting a story in the middle of the action. Experienced writers start a story in the middle of things, because this is what engages the readers’ attention the most quickly. Because - don’t forget you are writing a story to entertain a reader! Although you may enjoy it for yourself, you need to keep the reader on your side and totally engaged in the twists and turns your protagonist faces. So your first job is to get the reader to be on your protagonist’s side. 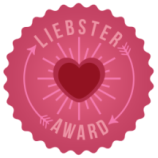 This means creating reader empathy with your main character. The best way to do this is to have your readers see the hero in the middle of an action scene, using all their heroic qualities to do something truly great. If your main character has to sacrifice and be hurt in order to do this, it is all the better! Your reader will love them all the more. Once you have your reader on the same side as your main character, you can then tell more about the background to the story. 8) Roughly plot out the journey your story will take. Once you have your main character, their goal, a villain, the setting, the local legends and myths with its monsters and problems, you can start to map the journey your protagonist will need to take to meet their goal. This is lots of fun. You can heap obstacles and difficulties in the path of your protagonist. You can use your inventive powers to help them overcome the conflicts. Don’t forget to make it action packed and full of jeopardy, this will keep your reader firmly on the page. 9) Get inside the skin on your character and starts to think like them. Once you have mapped out the main plot of your story. You need to write it from the viewpoint of your main character. This may be through a first person delivery, or you may use a limited third person point of view. These are the two most common points of view used to promote a narrative about one character’s adventures and journey towards their goal. Using this form of viewpoint enables the reader to closely experience all the thoughts and feelings of the character. This helps the reader to imagine themselves in the role of the main character and experience the events, as if they were happening to themselves. 10) Write the Obligatory Scene. Nearly all exciting narrative ends with a climax. This is called the obligatory scene. It is when the hero must face their darkest hour, overcome their deepest fears, and go forth to meet the villain in a final confrontation. The main push of the narrative has been bearing down to this collision. The goals of the protagonists and the antagonist will clash during this last important scene. There may be bloodshed! It is useful to have as many characters as you can - from the story - onstage in this scene. This is the shootout at the O.K. Corral! High Noon has come and there can be only one victor! Make the scene as full of action as you can. Circular endings? After all the dust has settled and every character has received their just deserts. The brave have been rewarded, the wicked punished. After the hero has returned home, triumphant with their goal achieved, it is time for you to go back to the beginning of the story and do your editing. During this second draft, you will see much more clearly the story points that need to stay and the ones that need to be cut or changed. This is very important work for a writer. It tightens the story up and makes it unbeatable! 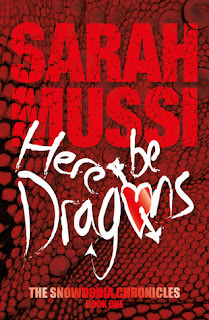 Sarah Mussi’s latest book HERE BE DRAGONS: Book One of THE SNOWDONIA CHRONICLES (Vertebrate Publishing) is already out. BOOK TWO: HERE BE WICHES is coming OCT 2016. Ellie Morgan wants a boy who's all hers. Just for once, it would be nice to meet someone that Sheila (the cow) hadn't got her claws in to. The stronger her feelings for this strange boy become, the more she is in danger: a battle as old as Snowdon itself has been raging for centuries and now Ellie's caught in the middle. It's out there stalking her. Here Be Dragons: showcased in The People’s Book Prize!